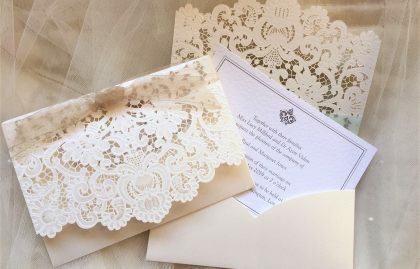 Pocketfold Wedding Invitations. 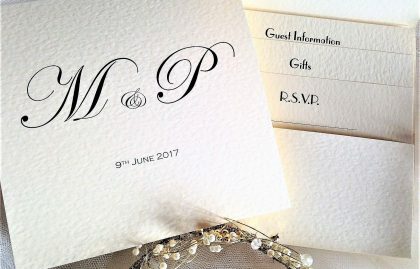 We can print whatever you wish on the front of the invitation and inside as all designs are produced in house. 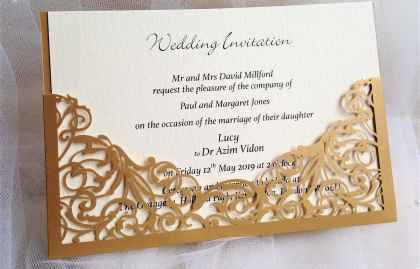 If you have a design in mind let us know and we’ll try and accommodate your requirements. 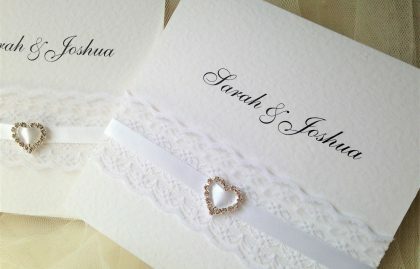 This design of wedding invite is very popular if you have lots of information for your guests. 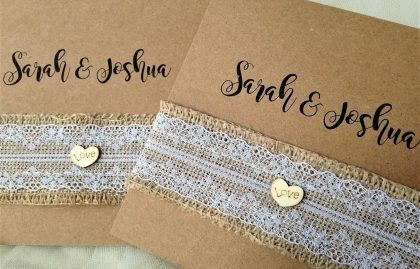 They are available with numerous inserts and they can be ordered with a menu RSVP card. 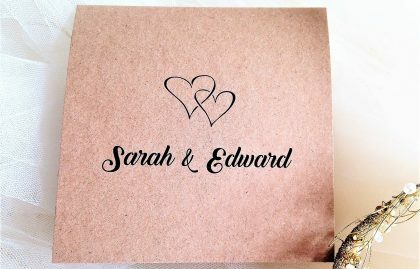 Perfect if you need to know menu choices prior to your wedding day.